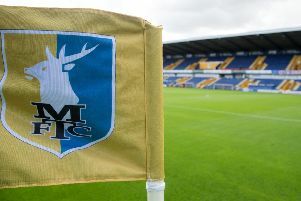 Mansfield Town manager David Flitcroft is planning a squad review with chairman John Radford and CEO Carolyn Radford ahead of the January transfer window. Stags are currently 12 games unbeaten and have good competition for places, but the trio need to assess what, if anything, is needed to add to the mix for the second half of the campaign. Flitcroft would also like to improve the club’s scouting system. “It is something I will sit down with the chairman and Carolyn and see where we are at. “We don’t have anyone doing the recruitment at the minute. When we came in it wasn’t right, so we have done all the recruitment ourselves to ensure the targets we got fitted into what we’re doing. “Now it’s a case of how do we keep improving? “It does need looking at. We don’t employ one scout, though we get out to games.